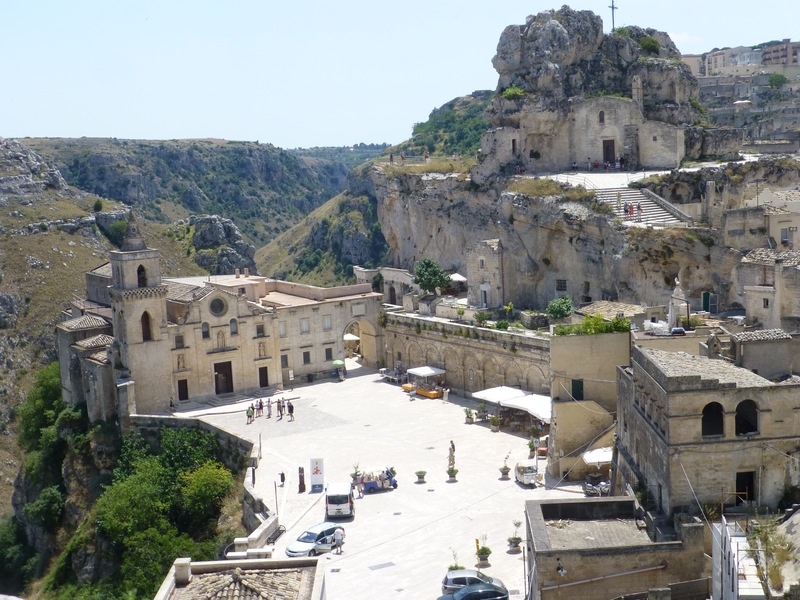 Most Australians don’ t put Matera, in the little known Province of Basilicata, on their list of places to visit in Italy. Now I’m wondering why not? It’s an amazing place. Built into the caves of the hill, the houses are centuries old. 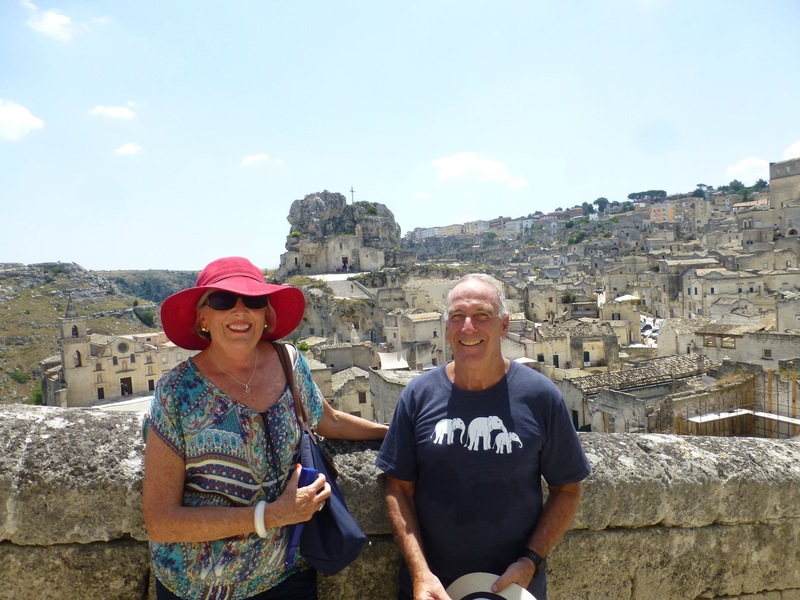 Matera consists of 2 Sassi. Sassi Caveoso and Sassi Barisano. Picture a butterfly: it’s body is the ridge where the now new town is built and the wings either side are the two Sassi. The caves are stacked so the path you walk down is actually the roof of the cave below. 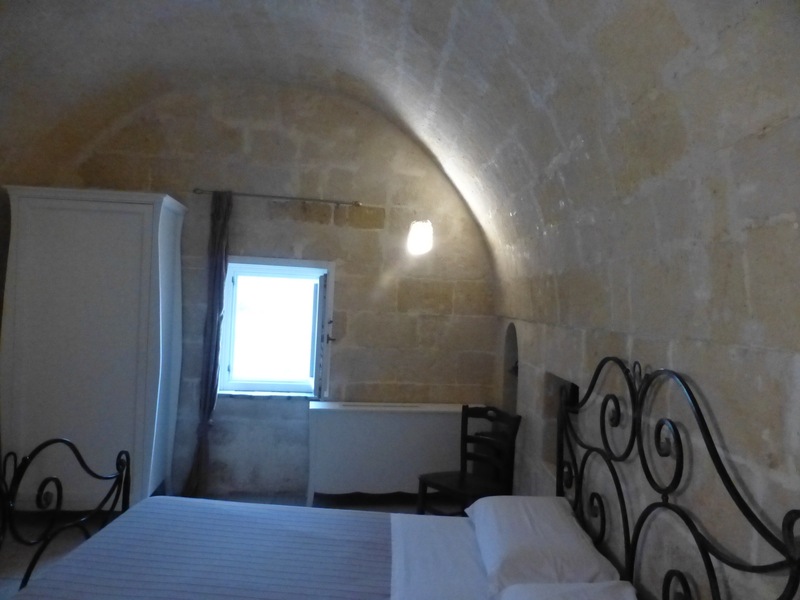 We are staying in Sassi Caveoso in a B&B in an old cave. It’s a wonderful experience. When we arrived yesterday and looked down from the ridge I wondered at my stupidity at booking something that looked inaccessible by car. But it turned out you can drive down a narrow winding street drop of the bags then drive up park and walk in. Steve managed it all very well! But it’s worth it. Tizianna our host at the B&B only speaks Italian so I have had to use my Italian to speak to her. She’s charming and even understood my request for gluten free. Our bedroom has a terrace and we look at the Sassi across from us. Last night we had dinner at Francesca’s just near the B&B. It was very good. I had a gluten free pasta with canelli beans, mussels in a pesto sauce. Delicious. Then as we were preparing for bed there was an almighty BOOM across the valley. The most colourful fireworks started and went on for ages. We sat on the terrace and enjoyed the front row seat. 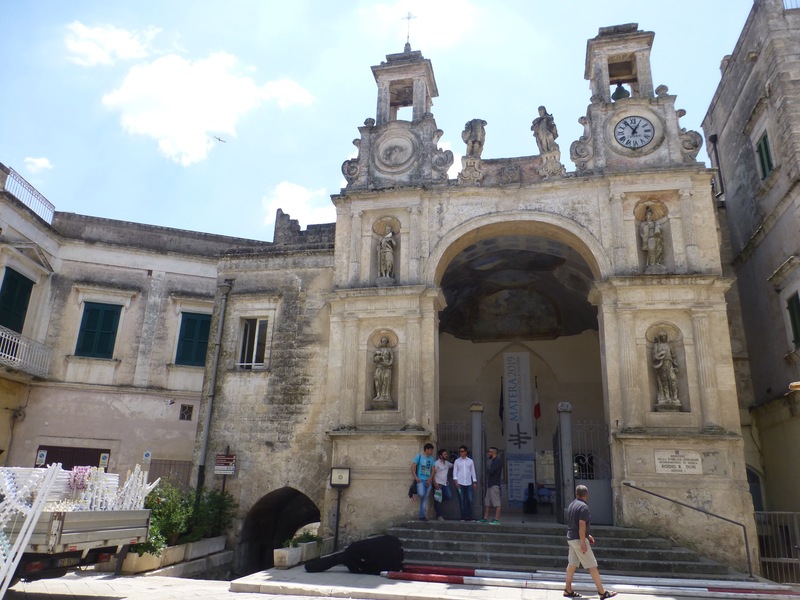 I asked Tizianna what it was all about and she said it was the festival of the local Saint – a festival that lasts two weeks and last night was the conclusion. This morning we had breakfast on the terrace before heading off to meet Antonio on the ridge looking down over the Sassi. He was a lovely young man. So good looking it was distracting! We joined a family group from Ireland and they were perfect to have on the walking tour with us. Antonio led us all around the Sassi telling us stories about how the caves were used in the past and how they are used now. He pointed out they have just transformed over 3,000 years as the uses changed. They have always been occupied. Then in the 1950’s the Government removed the occupants and bought all the cave houses. The living conditions were so bad that was the only way forward. Now the city has developed a tourism industry that comes from the uniqueness of these strange houses. So people are leasing the houses back – for almost nothing , then the new occupants renovate them and start businesses. Like the one we are in – Le Corte dei Pastori. 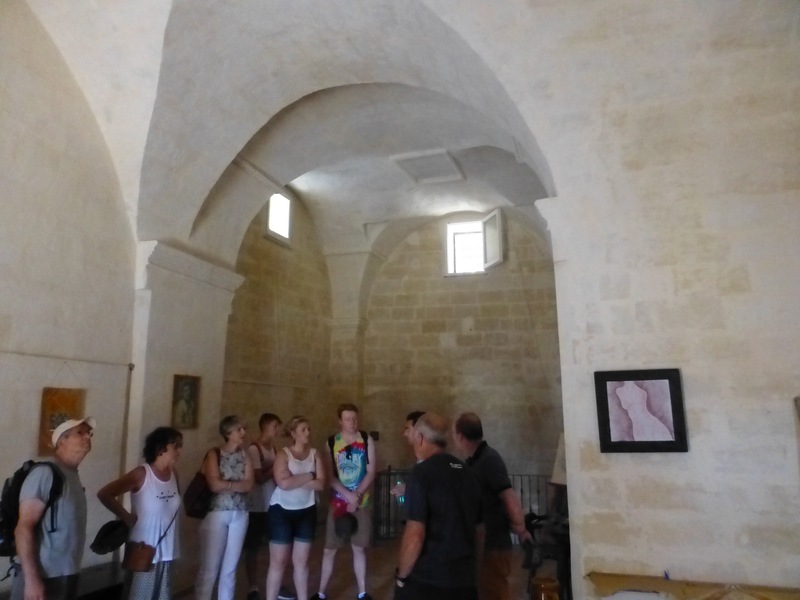 He told us Matera is a UNESCO World Heritage site, and has been chosen as one of two cities in the world to be listed in 2019 as a cultural centre so they will be expecting many more tourists to come. So if you are planning to come make sure it’s before the large group tour companies put it on their list. We walked with Antonio for 3 hours in and out of cave houses, churches and lookouts and ignored the heat bearing down on us. It was so interesting and Antonio was very knowledgable. And did I mention good looking? We finished at 1pm and made our way to a cafe with beer. Steve is in training to swim the straits of Messina on Wednesday. 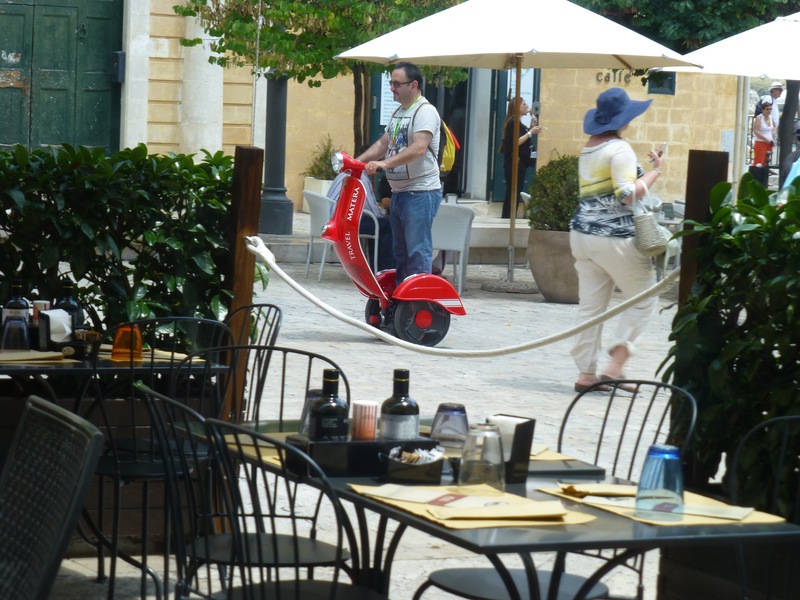 The segways here are shaped like a Vespa at the front. All different colours. So this afternoon we are having a siesta. Such a great idea. 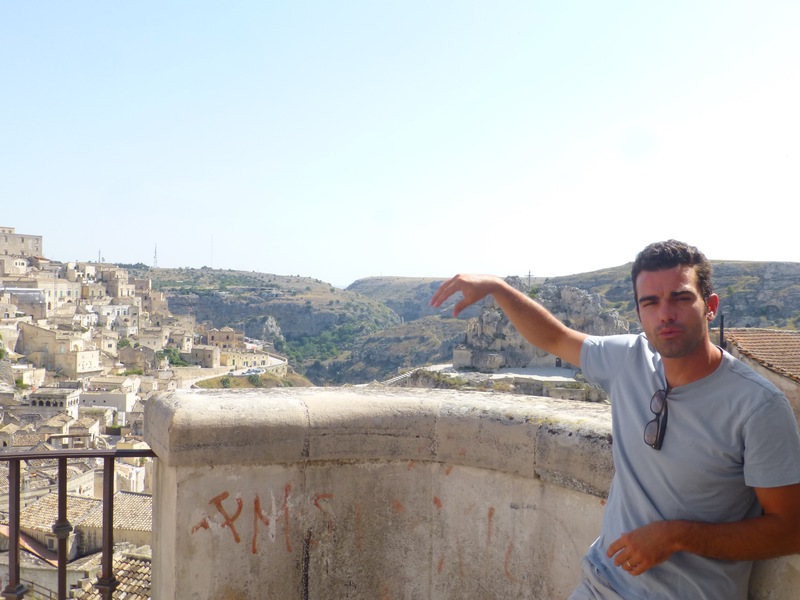 Has anyone been to Matera? Let me know what you think about the place. Matera was on my bucket list of Italian places to visit on my next trip so glad that it has lived up to its reputation. Love the Vespa segway! We stayed in a cave hotel in Turkey and it too was a special experience. 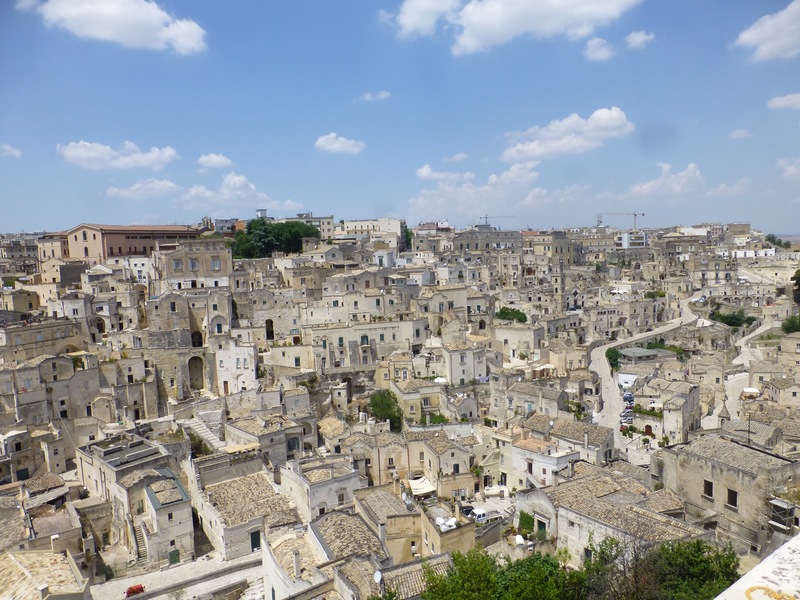 I’ve never heard of Matera – looks fantastic. You are opening up new ground for the rest of us Fran. We too stayed in a cave hotel in central Turkey – amazing.